The story of Dixie Distributing, and it’s founder Harry Denune. In 1947 a young man saw an opportunity and took it. The nation was recovering from WWII and about to begin an era of unprecedented economic growth and social-economic change. Harry Denune was one of many who took advantage of the economic boon. A veteran himself, Denune began purchasing military surplus parts, specifically motorcycle parts (Harley-Davidson and Indian Parts). 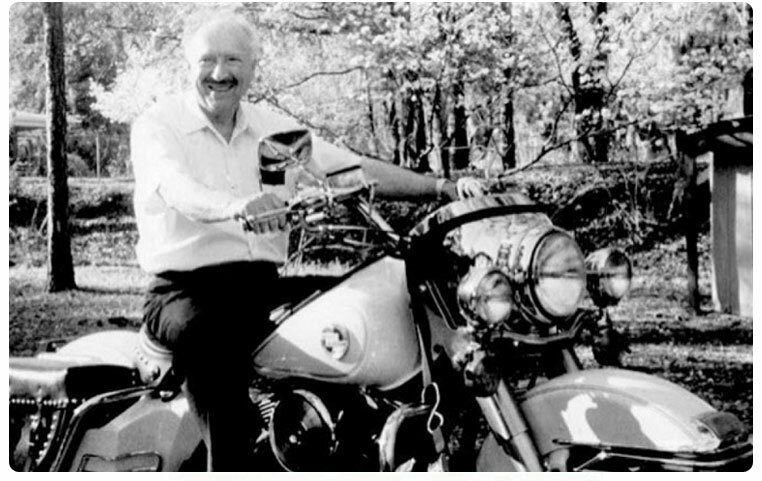 This began a 66 year adventure that saw Denune purchase, sell and collect an inventory of unmatched motorcycle parts. Denune established Dixie Distributing and Dixie International, selling and purchasing motorcycle parts around the nation. Dixie was at one point the dominate company in its field, becoming “the place” for motorcycle parts. Harry never stopped looking for and purchasing parts up to his death. Harry’s approach was simple, search the world for parts, buy them and resell the parts. In his pursuit, Harry accomplished something he could have never imagined; becoming a curator of a piece of Americana. Exploring one of his warehouses is like entering a time capsule, where time has been frozen. Now BMI Karts.com has purchased this treasure. Many of the items remain in their original packaging, untouched by time and in factory condition. There are wooden crates stamped with US Army, unopened and untouched since being manufactured during WWII. Denune insisted on quality packaging, preserving the parts’ integrity. But the collection goes well beyond those treasures. BMI will be offering parts spanning from 1940’s through the 90’s, everything from batteries, chains, pistons, tires, rims and much more. As we work through the enormous inventory, BMI will bring these parts back into the market. Many of these parts have been hidden from the public, tucked away in warehouses. BMI will change that. We will be offering many of these parts on our website, providing an easy and efficient way to purchase these lost gems. BMI is excited to begin the process of reintroducing Dixie International to distributors, collectors and motorcycle enthusiasts around the world. Copyright © 2019 Dixie Motorcycle Parts. All Rights Reserved.